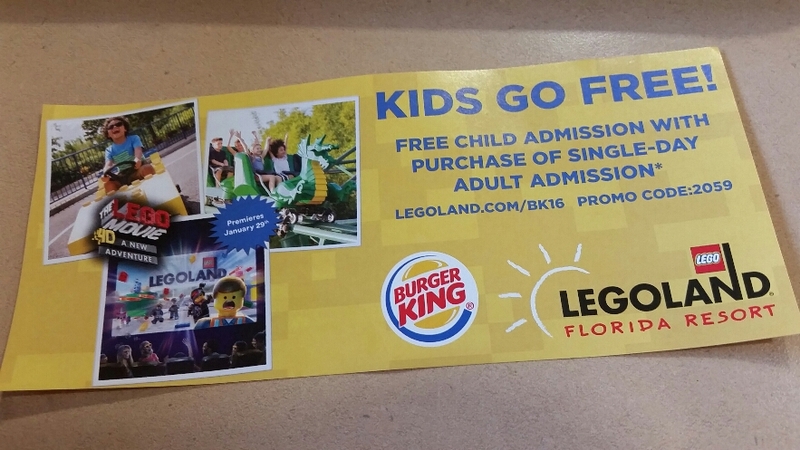 Legoland 2016 – Promo Code – Burger King, Kids Go Free! 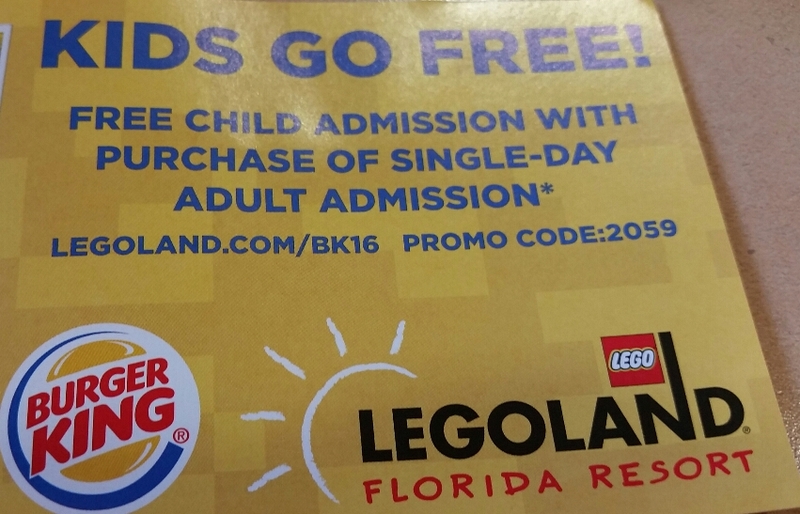 It’s the 2016 season for Legoland, and Burger King has a promo code which allows kids to go Free! Have a great time at Legoland! !